People - Scott Yam Ph.D.
Dr. Scott Yam is currently a Professor in the Department of Electrical and Computer Engineering at Queen's University, Canada. He received the B.Eng. degree in Electrical and Computer Engineering from the University of Waterloo in Canada (1998), and the M.Sc. and Ph.D. degrees in Electrical Engineering from Stanford University (2000, 2004) in the USA. From 2000 to 2003, he worked as a Sprint Fellow at the Sprint Advanced Technology Laboratories (ATL) in Burlingame, California. He is a member of the Institute of Electrical and Electronics Engineers (IEEE), the IEEE Laser and Electro-optics Society, the IEEE Communications Society, and the Optical Society of America (OSA). Dr. Yam has over 80 technical journal and conference publications, as well as 2 patents and 1 pending patent application. He has also served as reviewer for Photonics Technologies Letters (PTL) , Journal of Optics A (JOPA), and Optics Communications, and is a recipient of the Young Scientist Award and Student Paper Award from the IEEE LEO Japan Chapter. 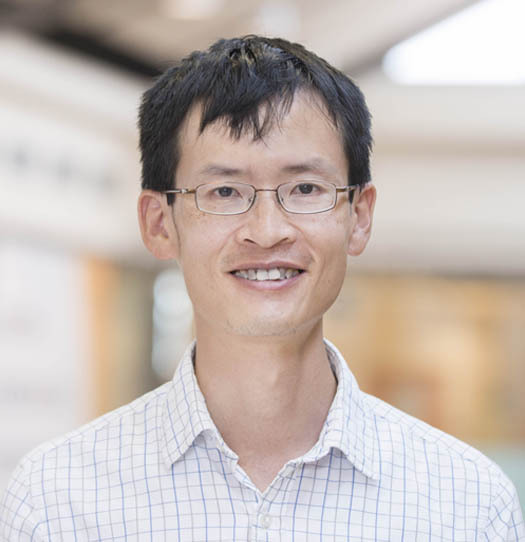 Dr. Yam's research focuses on the underlying physics of fiber and opto-electronic devices and how they can be applied to various relevant applications in communications, sensing and detection. He has previously published on physical layer issues of next generation optical networks, transmission, optical amplifiers, and fibre non-linearities. His current research directions include: (1) investigation of short pulse propagation in multimode optical fiber for low-cost, high data rate transceivers in local area networks; (2) design and construction of fiber-based devices for refractive index, strain sensing, as well as other industrial applications, (3) high-speed electronic digital signal processing in optical communications systems, and (4) molecular optical imaging of biological tissues. For more information on Dr. Yam's research, visit Dr. Yam's web page. To view Dr. Yam's publications, please visit Dr. Yam's publications page.